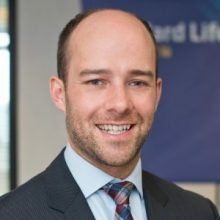 Aaron Linden has more than 10 years of experience in management consulting and venture analysis, including assignments in Canada, the US, Asia and across Europe. His professional experience includes business development, strategic planning, market strategy, business modeling, project management and corporate development. Prior to joining the BDC, Aaron spent 5 years working in Corporate Strategy across two separate Fortune 500 companies, where he developed expertise in generating new business models, guiding executive-level business planning, and delivering data-driven recommendations to Senior executives. Aaron holds a Bachelor of Commerce Honors degree in Finance from the University of Manitoba in Winnipeg, and an MBA from Concordia University in Montreal.